Don't settle for just one of our best sellers. 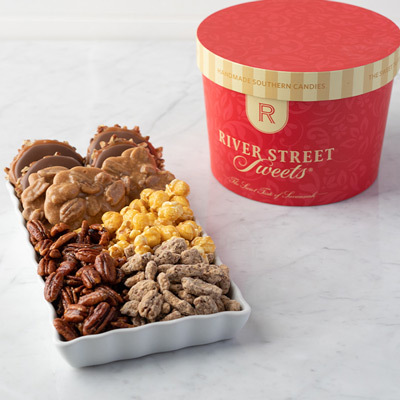 This gifts arrives with both Original Pralines and Milk Chocolate Bear Claws so you can decide for yourself which one is best! The candy was wonderful and the recipient was very complimentary of the candy and the beautiful packaging. Quick shipping as well! 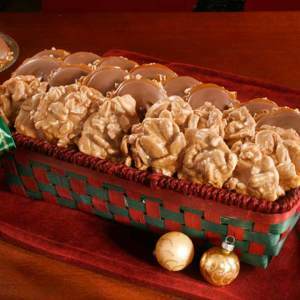 The Bear Claws are my favorite, they are superb! 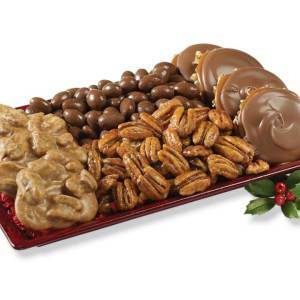 The Pralines are delicious, but I was disappointed that when they were shipped to me they were all broken up. Owner Response: Thank you for taking the time to provide a review. 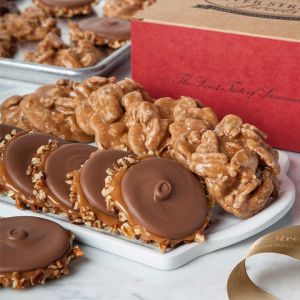 I am sorry to hear that the Pralines arrived broken. . 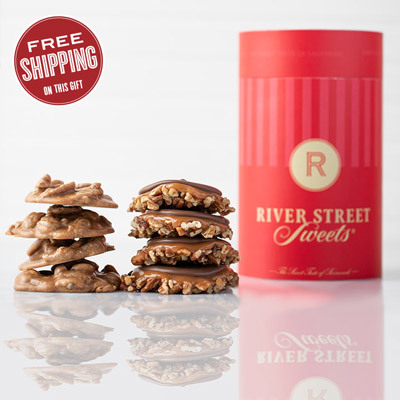 Please contact us at 1-800-793-3876 or customerservice@riverstreetsweets.com at your earliest convenience and our customer service representatives will be happy to help with this. Everyone that I gifted with your treats have asked for them year after year. Always a hit!